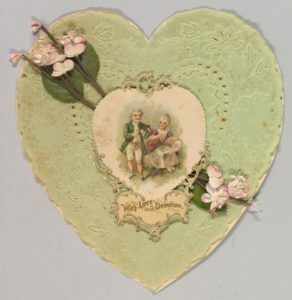 Nancy Rosin, president of the National Valentine Collectors Association, has made a “passionate obsession” for more than 40 years out of historical love and friendship cards, keepsakes and related ephemera. Her lecture will reveal the visual and structural wonders of Victorian Valentines. Surfaces were richly textured with gilded lace and high-relief embossing, and cards were engineered to turn into three-dimensional forms including battlefield tents and steam engines. Rosin will discuss the cards’ hidden codes of floral motifs, which represented various virtues and emotions, and the evolution of flattering and comic depictions of lovers, whether athletes, crooked politicians or caged mice. Rosin has made major discoveries about the makers; women and immigrants played groundbreaking roles in designing and marketing Valentines. She describes the cards and mementoes, whether handmade or mass-produced, as demonstrating “the creativity and passion of human emotion.” Rosin is also the president-emerita of the Ephemera Society of America. 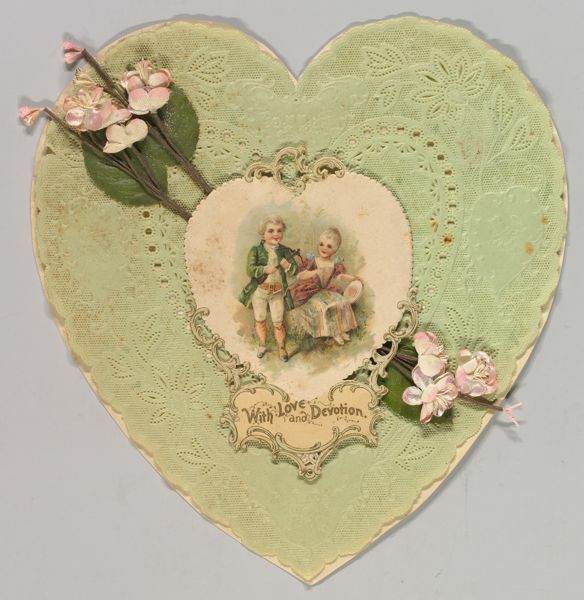 In 2018, her family’s collection of about 12,300 Valentines and related items was donated to e Huntington Library, Art Collections and Botanical Gardens in San Marino, California, to be accessible for research and display.